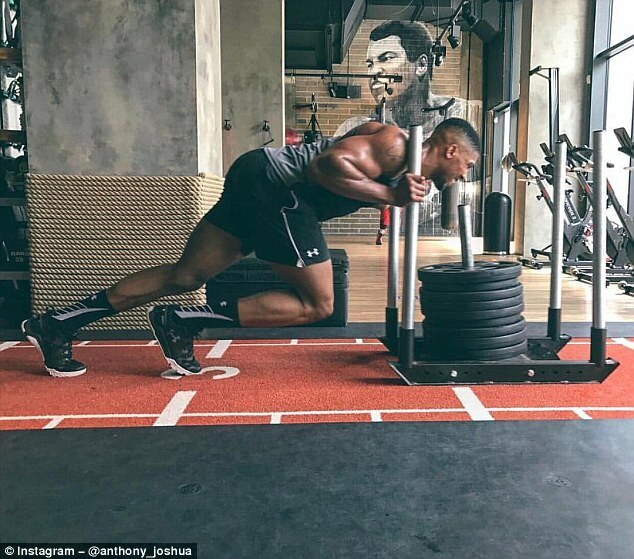 Anthony Joshua is keeping himself in top shape as the heavyweight world champion waits to discover if he will have a rematch with Wladimir Klitschko. 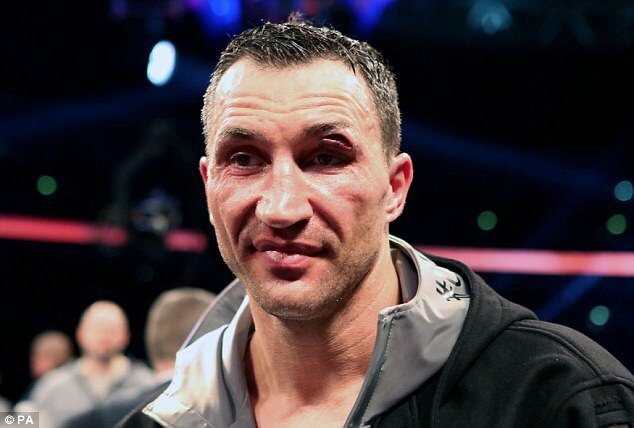 Klitschko, 41, has yet to confirm whether he will retire or trigger his rematch clause and take on the newly-crowned IBF and WBA world champion. 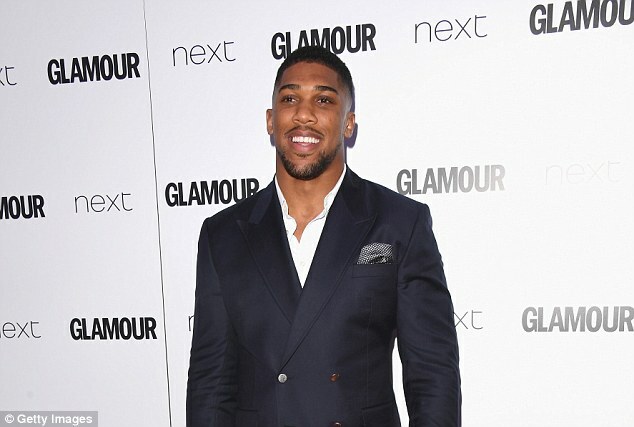 Joshua’s agent Eddie Hearn claims they are working on making the fight and that the money involved means he ‘can’t see (the Ukrainian) not taking it’. And Joshua showed he was ready to answer the call during a heavy weights session with personal trainer Jamie Velocity. 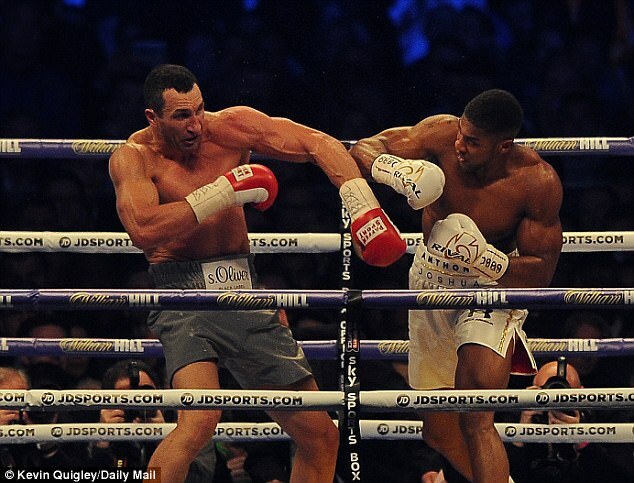 Joshua secured the biggest victory of his career when he rose from the canvas to stop the former heavyweight king in the 11th round in front of 90,000 fans in April. Hearn claims they are working on a rematch with venues in Europe, Africa, America and Asia all making lucrative offers to host one of the biggest fights in world boxing. Bulgaria’s Kubrat Pulev, aged 36, is the mandatory challenger for the IBF belt, but Hearn is trying to get around that fight and seal a rematch first. ‘We’re looking at all the potential sites for the rematch. It’s not really a case of them having to let us know by a certain date. For us, it’s happening,’ Hearn told Boxing News. ‘Until (Klitschko) turns round and says “no, I’m retiring,” we’re full steam ahead. At the moment all I can tell you is that it’s happening because we haven’t heard otherwise. ‘Bernd (Boente, Klitschko’s manager) has got a meeting with him this week. The number of offers we’ve had come in from other sites means the money’s so big, I can’t see him not taking it.